THE BEST WINCH IS WORTHLESS WITHOUT SOMETHING TO HOOK ONTO! Pull-Pal is designed for winch-equipped Jeeps®, buggies, campers, 2-wheel drive, 4WD SUVs, Trucks, and Hummers®. Ideal for construction surveyors, search and rescue, utility, police, and rural maintenance vehicles. 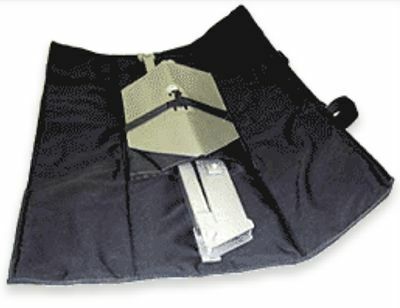 Pull-Pal folds compactly to the size of an ordinary bumper jack for easy storage. It can be mounted inside or outside. It stores easily in an inexpensive gun case. 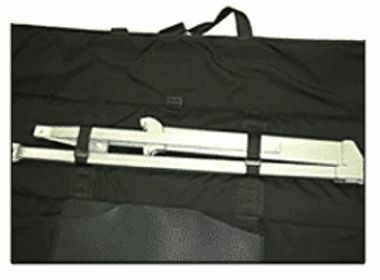 Or take a look at our Pull-Pal carrying case below. .
"...the harder you pull on it, the deeper it bites." . The Pull-Pal, a U.S. engineered anchoring tool, is both portable and well-suited for a wide range of environments. 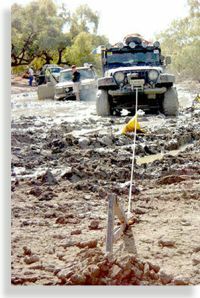 Intended as a tool for winching through sand and mud, Pull-Pal's design relies on useful rules of physics. 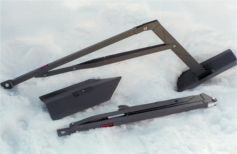 Its hefty plow blade sets firmly and safely into sand, clay, mud hardpan soil and snow. 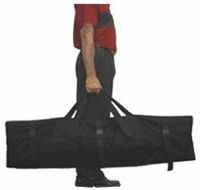 Check out the new Pull-Pal Carrying Case! Details below. 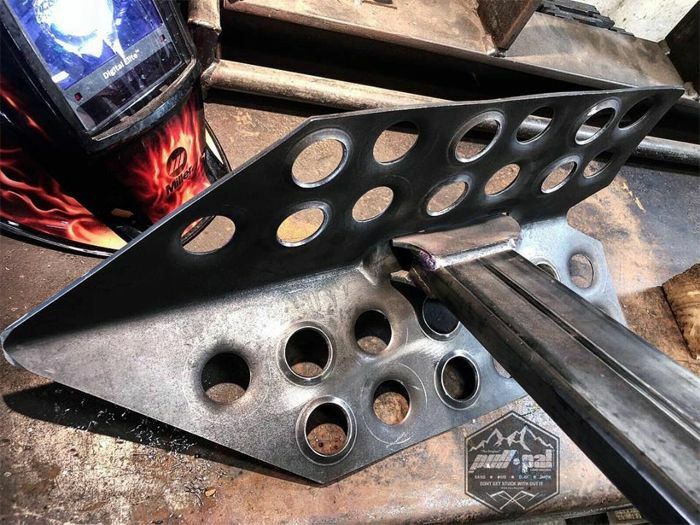 The dimpled spade makes the Pull-Pal lighter and stronger.
. Pull-Pal is ruggedly constructed with a forged chrome-moly plow assembly, welded construction overall, and assembled with Grade 8 bolts for strength and quality. Pull-Pal gets your rig out...fast. Simply insert the plow point into the soil. As the winch cable tightens, the point embeds itself deeply and firmly into the ground and frees your rig with the assistance of the wheels in motion. 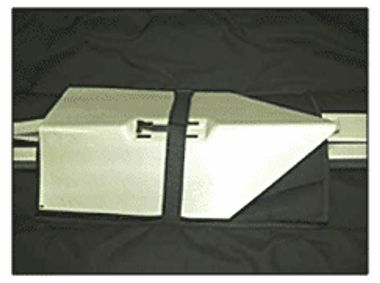 Note: The three models of Pull-Pal anchors are rated for different size vehicles. 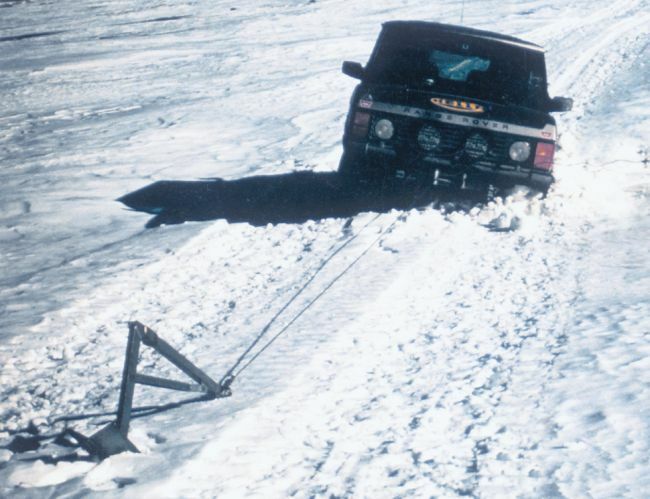 Please ensure you choose the correct anchor for your 4x4. "Up on the frozen slopes of Mount Washington, anchor points are few past the tree line. The Pull Pal would dig in and yank us out every time. That's when I started to get impressed. On the ascent itself, the Pull-Pal yanked our frozen butts out of the snow so many times that I lost count. We literally would not have made it without the Pull-Pal. Since then, I've seen it used in dirt and sand and was equally impressed." Cushioned flap between shaft & Spade. Dimensions: 51" L x 13" W (folded). Hi-density close cell foam core. Cinch straps with hook and loop closures. The Pull-Pal carrying case is the newest alternative to storing & carrying your Pull-Pal. The heavy-duty cordura nylon body surrounds high-density closed cell foam. A reinforced back panel strengthens the case and prevents it from collapsing. There are two cinch straps that secure the Pull Pal in place and a padded panel that separates the spade from the shaft. 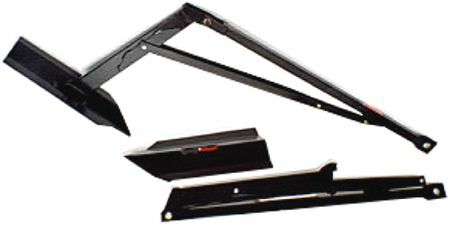 The case can also be used as a mat protecting you and your tools from cold or muddy ground while working under your vehicle. One size fits all Pull-Pals. .